• Jaggery is another commodity commonly found in Indian household, used in both Savory & sweet dishes. 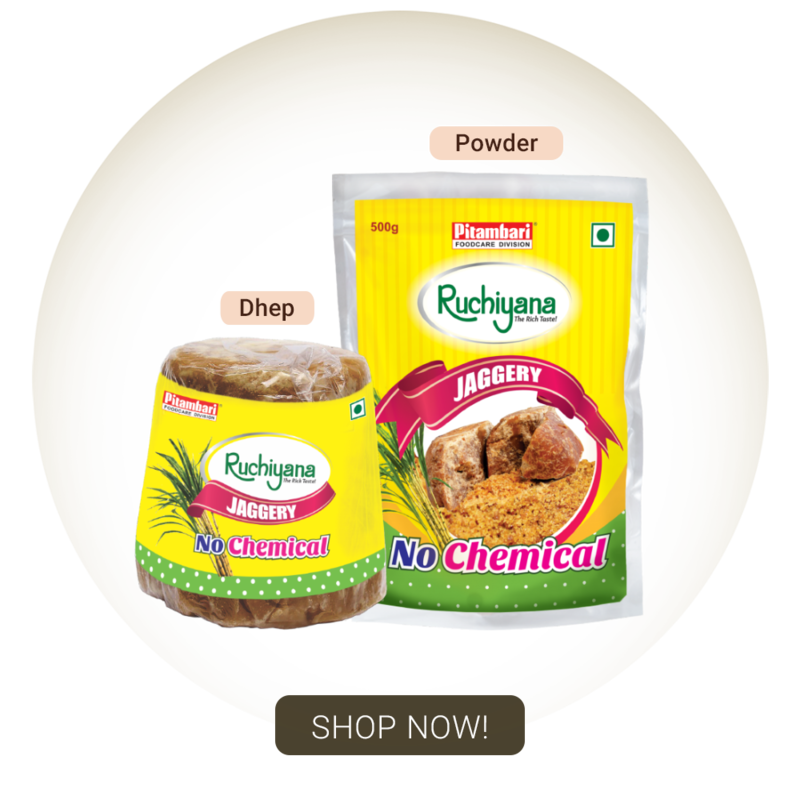 • Ruchiyana Jaggery is prepared using Natural ingredients; no hazardous chemicals are used, prepared with elite variety of sugarcane and processed in hygienic conditions. • Jaggery is rich source of minerals like magnesium, potassium, calcium and iron. Magnesium helps to relaxes muscles and improves blood circulation, while potassium is one of the most important electrolytes which help in reduces bloating and water retention. Calcium is good for maintaining bone density and iron helps to prevent anemia, relieve tension and asthma. • Best replacement for Sugar& artificial sweeteners.